Winter Gritting Complacency – Don’t fall for it! 2015-2016 set to be the warmest start to the winter road and car park gritting season ever. With a warmer start to the winter road and car park gritting season, it’s easy to think it’s going to stay like this. Don’t be fooled in to a false sense of security, the weather is known to be an unpredictable beast at the best of times. In a recent report published by the World Meteorological Organisation, it suggests that although the start to the winter season has been unusually warm and wet, the latter part of the winter will be longer with an increasing risk of colder, snowier conditions. This has the risk of lulling organisations in to a false sense of security with regards to their road and car park gritting preparations. 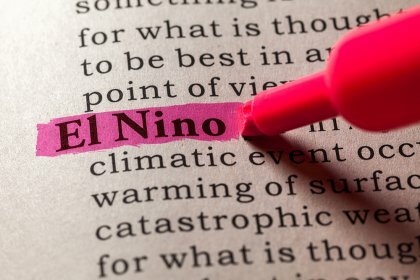 Professor Adam Scaife of The Met Office said: “El Niño increases the risk of a cold end to the winter, particularly in February and March”. If this scenario does in fact come to fruition, then it will be important that companies are fully prepared to have their roads, business parks and car park gritted. At Clearway Gritting we have spent the time ensuring that all salt stocks are available, which we are pleased to say is now at full capacity, and that our gritting vehicles are ready to be deployed at a moment’s notice. Naturally there are a huge number of factors that will influence the weather conditions, but we believe that ensuring there is a strategy in place to deal with the worst case scenario. We would welcome the opportunity to work with your company to ensure you are fully prepared for the next phase of the winter gritting period. Please contact us with your Winter Gritting requirements. © 2019 Clearway Gritting Limited. All rights reserved.